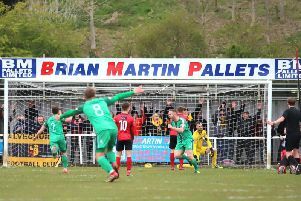 The Poppies missed their first opportunity to seal the deal as they slipped to a 2-1 defeat to play-off contenders Alvechurch in front of over 1,500 fans at Latimer Park last Saturday. Experienced centre-half Stanley grabbed his first goal for the club to bring them level in the second half and, with other results going in their favour, a draw would have been enough to start the celebrations. But Alvechurch snatched a late winner, meaning the Poppies still need one point from their final four matches to secure the crown. It means all roads now lead to relegation-threatened Halesowen Town this weekend. If Kettering avoid defeat then they will be champions but they will also seal the title if second-placed Stourbridge fail to win at AFC Rushden & Diamonds. But Stanley and his team-mates are keen to finish the job themselves in front of what should be a large travelling army of supporters in the West Midlands. “No-one gives you anything in football,” the defender said. “We made two slight mistakes last weekend and that’s what decides matches. “We have had enough luck this year, we have won a lot of games late on off the back of some mistakes. “The lads felt like they had lost the championship at the end of the game. But we have good players in there and we will pick ourselves up. “It was disappointing because there was a big crowd in and you always want to win. But sometimes in football it doesn’t work out how you want. “Mathematically, it’s a lot better for us but we wanted to do it in front of our own crowd. 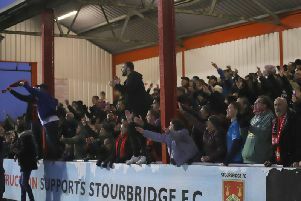 “However, I am sure there will be big support for us at Halesowen. It was a rare mistake from goalkeeper Paul White that allowed Alvechurch to grab their winner as he allowed Mitch Botfield’s shot to squirm through his legs with just two minutes left on the clock. But Stanley took some of the responsibility himself while the Poppies, as a whole, weren’t quite at their best. “It was tough, Alvechurch are a good side and they were better team in the first half,” he added. “I thought we were the better team in the second half. Luckily I got a goal, which I thought might be the one to win the league with the other results going the way they did. “But then there was the mistake and Whitey said to the boys afterwards that he should have saved it. But for the first goal, it’s my man for that so it’s partly my fault as well. “At the end of the day, it was disappointing but as long as we go to Halesowen in the right frame of mind then we know we can finish the job."